Something a bit different...that may not present well in this small format. 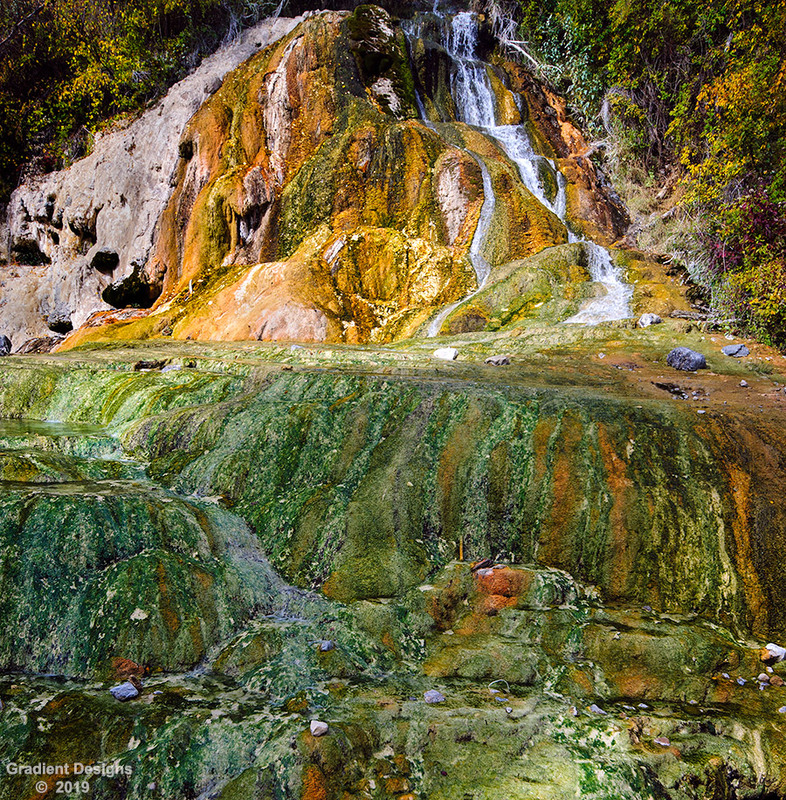 A small thermal spring on a mountain side hill that left the most colorful limestone deposits I have ever seen. An interesting departure from the usual stuff we see here. there's lot's to look at and I like the colors. The only thing that pulls my eyes away is the dark slither across the top. I think either cropping so that isn't there or showing more of it would result in less of the eye being pulled into the black. Incredible colors- I would love to see this much larger-I suspect, as you say, we are missing a lot in this format, even uncompressed. I am curious how big this actually is compared to a human, for instance. Unique, very interesting with great patterns and colors. I am curious how big this actually is compared to a human, for instance. About 5 feet vertical from the bottom to the green in mid frame. The falls themselves start about 50 feet from top to bottom of the frame and are about 50 feet away from me.